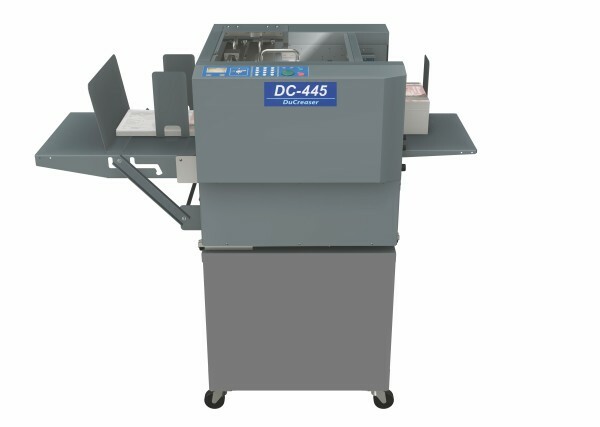 The Duplo DC-445 auto creaser is a much loved suction fed autoset creasing machine, specially designed to meet all the needs of the short run digital colour print market. DC445 fully automatic creaser has 100mm feed capacity, top feeding system, touch panel setup for true "walk-away" creasing of up to SRA3 sheets. 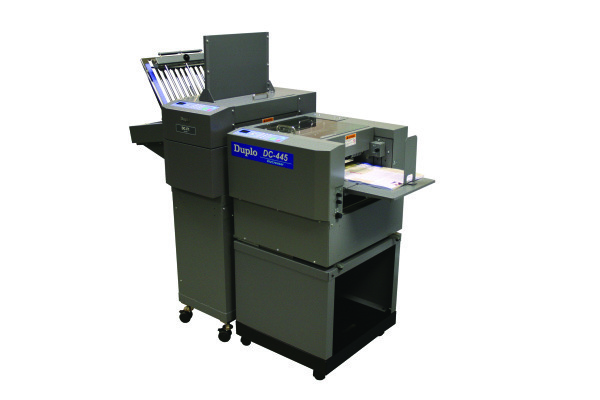 Optional perforating and slitting module available.